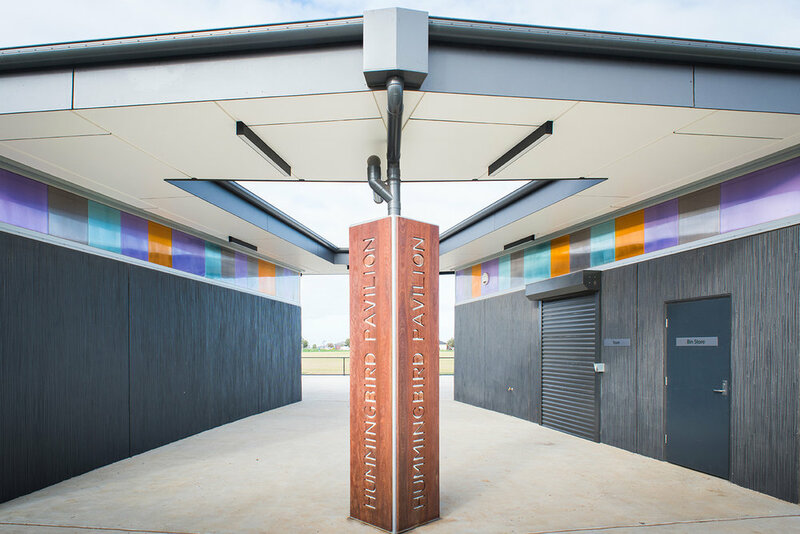 Hummingbird Sporting and Community Facility is a new sporting precinct for Wyndham City Council that incorporates social spaces, change rooms (x4), umpire change rooms, public toilets and storage. 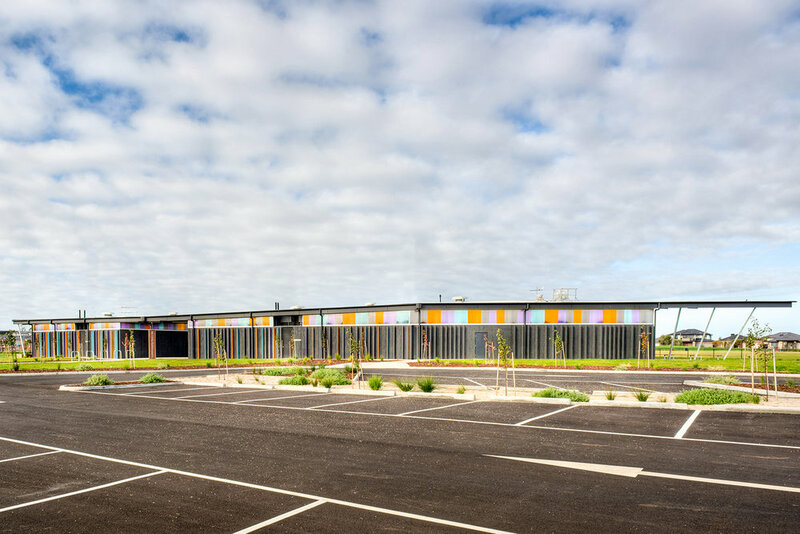 This new facility was designed to provide for universal accessibility, enable multi-gender sporting capabilities and reduced ongoing maintenance. The design concept is representative of the wing of a hummingbird and this idea is embedded within the building, expressed in the pavilion with precast panels communicating the tips of the bird's wings. All of the materials incorporated within this project were selected for their durability and sustainable properties. These materials include water sensitive fittings and sensors, energy efficient light fittings, reduced cement concrete, double glazing, GECA certified material finishes, natural ventilation throughout the building, low VOC materials and carpet tiles made from recycled content. The thermal performance of the building exceeds compliance requirements to maximise user comfort and minimise on-going operational costs.